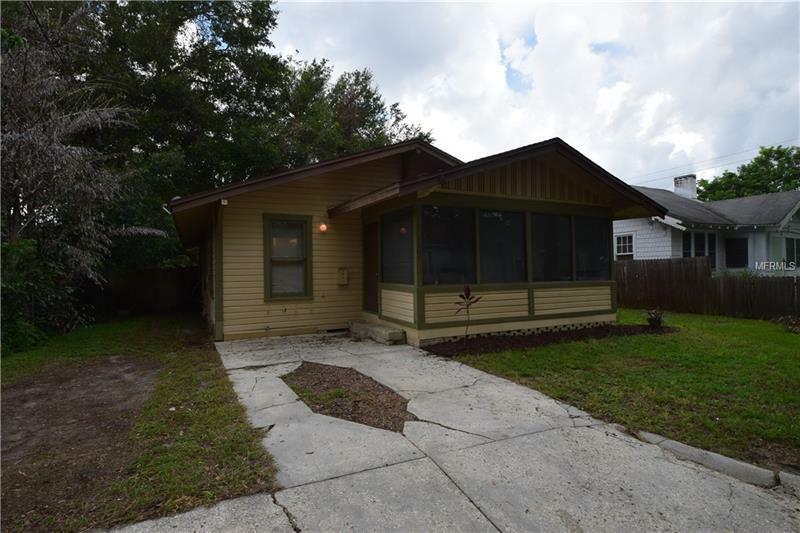 You'll want to hurry and see this super CHARMING and very WELL MAINTAINED 2 Bedroom 2 Bathroom Historic Bungalow CONVENIENTLY located just one block off South Florida Avenue blocks away from downtown Lakeland in the BEACON HILLS Historic District. You will LOVE the BEAUTIFUL WOOD FLOORING and tons of natural light that brighten up this home through the many windows. The kitchen is SPACIOUS and there are laundry hookups adjacent to it. The back yard is fenced in and there is a patio perfect to grill and spend time with friends and family. Relax after a long day on your new screened-in front porch. This home is move-in ready and is ready for you to call it YOUR home. The front porch is enclosed and air conditioned but not reflected on public records. Buyer to verify all measurements. Please call today to request a private viewing before it is gone!